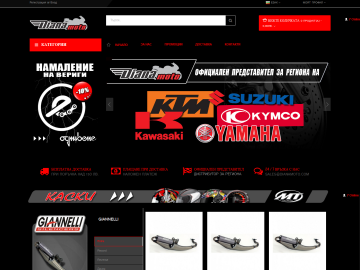 “Diana 2000” is a company dealing in import and sale of motorcycles, spare parts and accessories since 1993. The company activity is fully oriented to whole- and retail sales, servicing Bulgarian and foreign customers, rendering good quality and professional services. Our hard and ambitious objective is to find the best and most appropriate solution of any problem, complying with the specific requirements, expectations and needs of all our customers. Thanks to the individual approach to every separate customer, based on the experience, skills and knowledge of our team, we manage to offer complete, high quality and accessible service, highly estimated by our customers.